Magento Abandoned Cart sends out mass email alerts to all those customers who left the store without making a purchase in a pre-defined time. Magento Abandoned Cart silently recovers lost sales by offering tempting discount coupons in order to incentivize a new purchase. 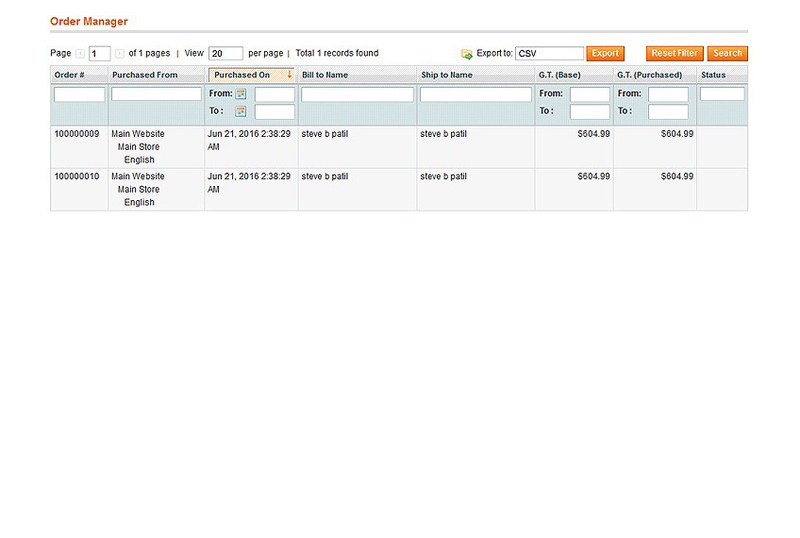 Magento Abandoned Cart email extension use native Magento email template system to create beautiful follow-up emails. Appreciate your customers by offering tempting discounts in your Magento abandoned cart email with a link to restore carts with just the single click. 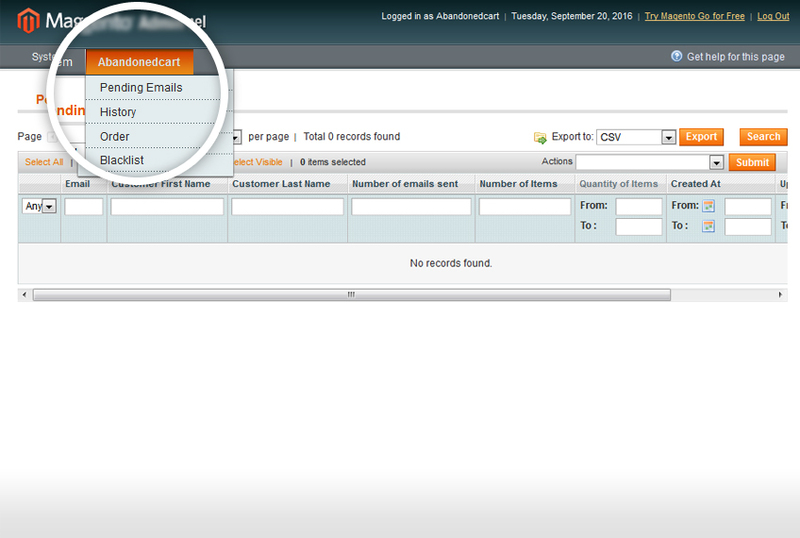 Send follow up emails automatically after predefined time intervals of abandoned cart. You can easily personalise your cart reminders. Abandoned Cart Extension will show the monthly & lifetime statistics of your campaign defined via the extension. 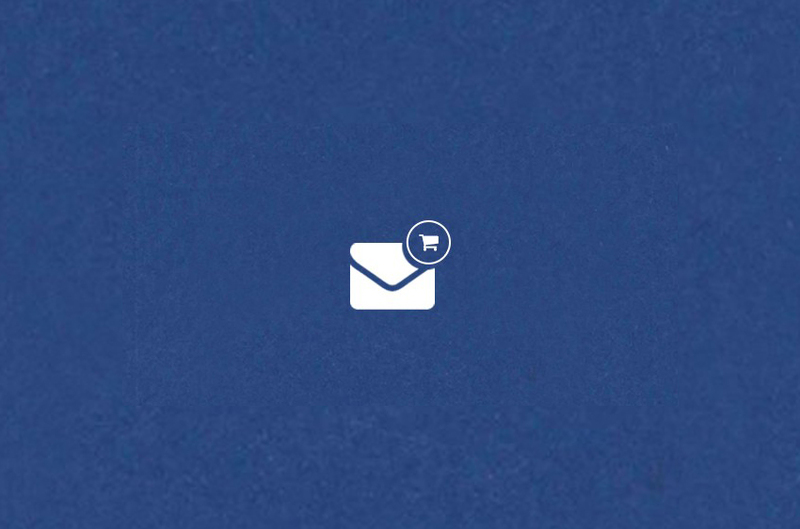 It will show a number of emails sent, cart restored etc. 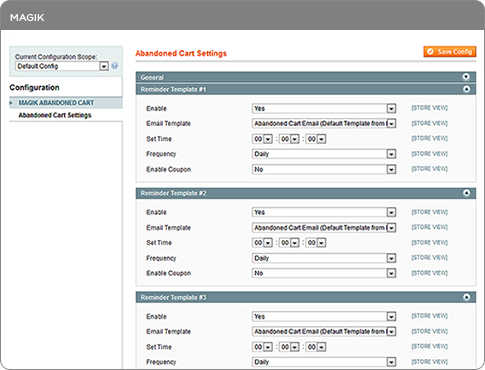 Seamless Abandoned Cart Reminders - Based on CRON settings system will automatically send emails to customer after specified time interval reminding them about their abandoned cart. Attract Customers with Abandoned Cart Coupons - Adding coupons to your reminders will motivate your users to complete their sale! Various coupon types are supported. Abandoned Cart Emails List - Admin can see a list of abandoned cart emails along with abandoned cart report covering things like items quantity, number of items, updated date etc. Can I send multiple emails to follow up with the users who have abandoned their cart? 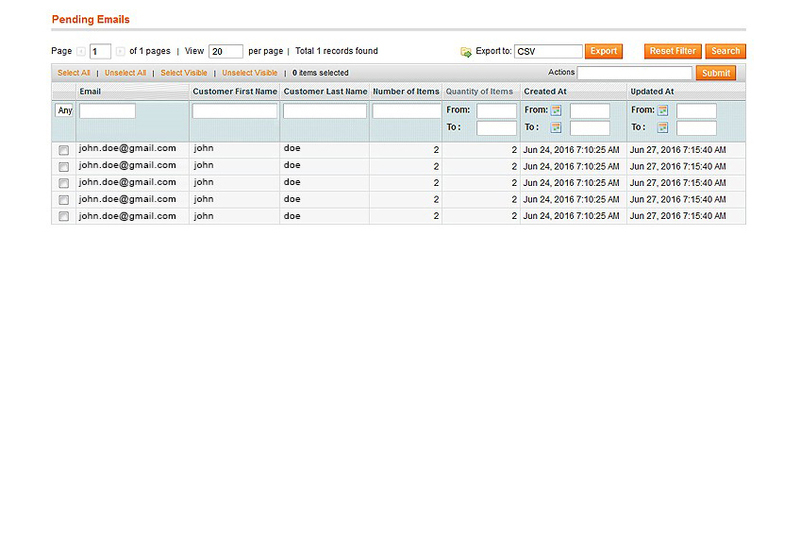 Yes, you can set 5 emails to be sent per customer from admin using Magento abandoned cart email. Magento abandoned cart works for guest/unconfirmed users? No, currently Magento abandoned cart works only for registered users. Support for unregistered users is coming soon. Can I customize the look and feel of my abandoned cart email template? 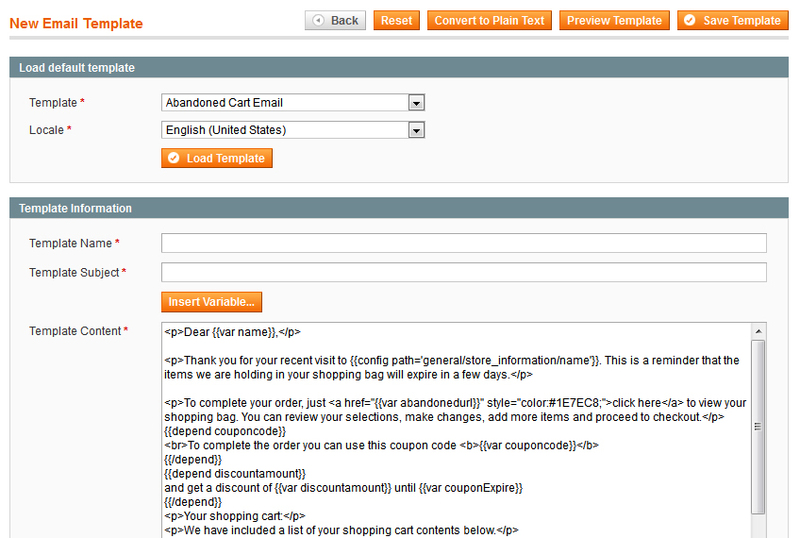 Yes, Magento abandoned cart extension uses default transactional email template. You need to create your own abandoned cart email template by loading default template created by extension & customize as you need. 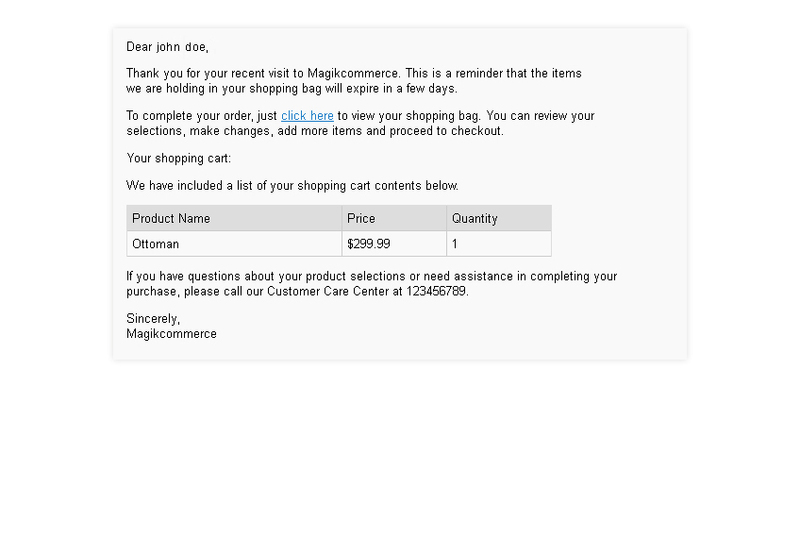 Can I send abandoned cart coupons in my followup email? 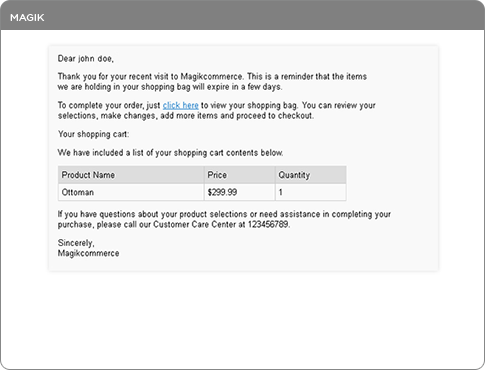 Yes, Using Magento abandoned cart emails you can attract your customer using the coupon code. You can set coupon types, expiry dates, amount, uses per person etc. Can I change delay period between reminders? 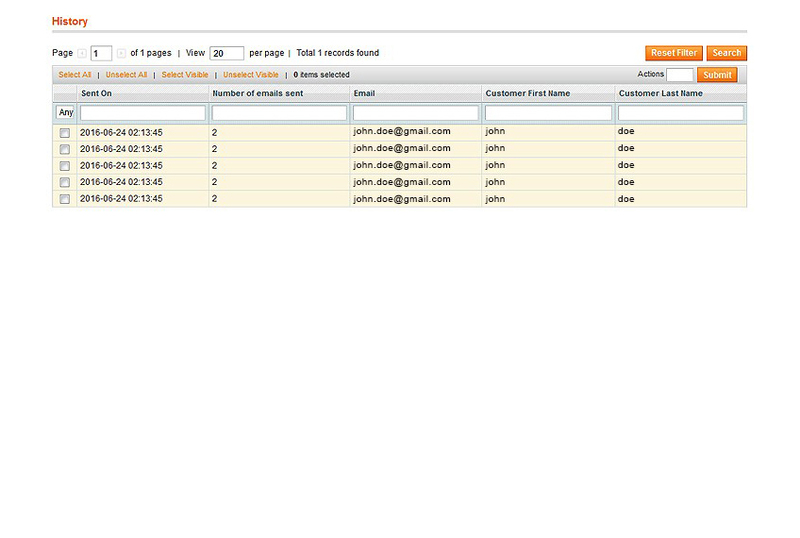 Yes, Using Magento abandoned cart set time periods between each reminder in a sequence can be customized according to your needs. 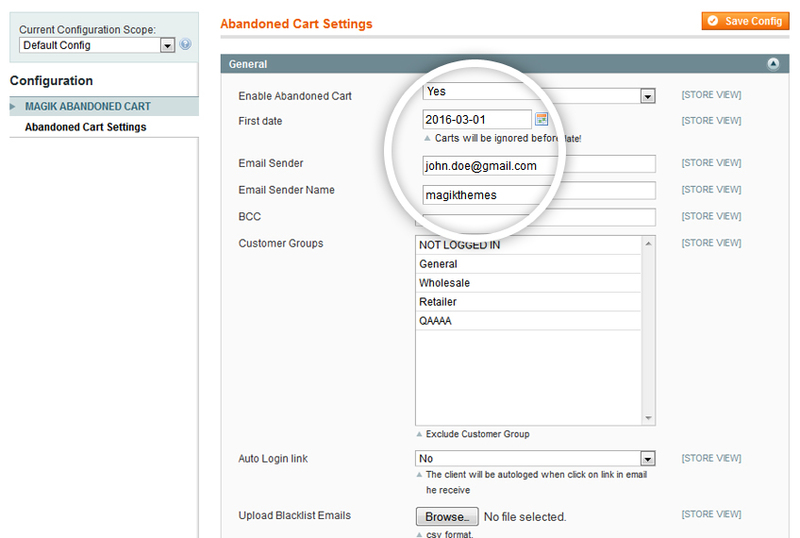 Where is your abandoned cart report located in my Magento store? 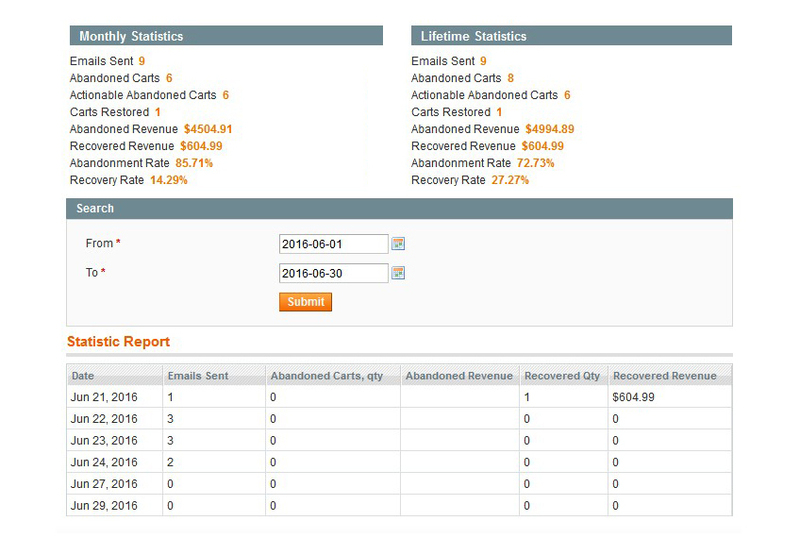 You can find abandoned cart report under Abandonedcart => Pending Emails. How does your extension helps in reducing Magento shopping cart abandonment? The extension sends abandoned cart alerts automatically and brings lost customers back. 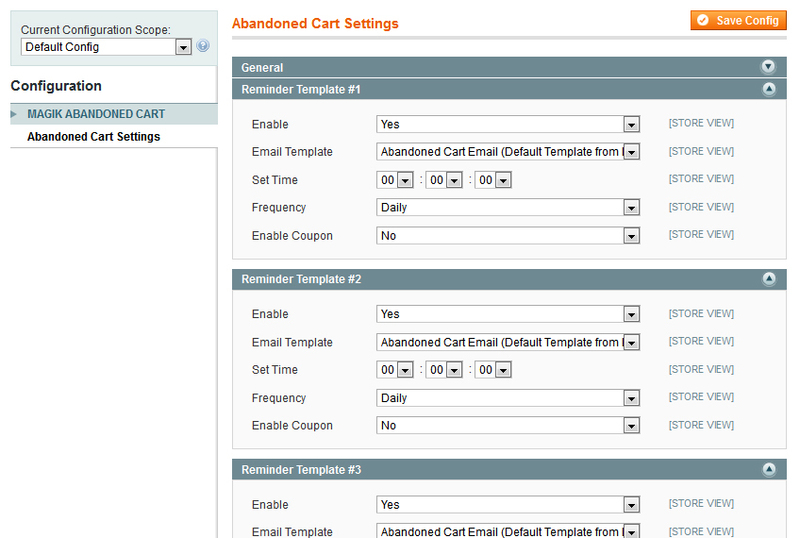 Abandoned Cart Reminder allows you to recapture lost sales and capture additional sales by remarketing your products. New Allow customers to restore their cart. Statistics on Restored carts, Recovery Rate, Recovered revenue. Show the List of Orders Who Recovered Their Cart and When.